Last edited by 3leggedturtle on Thu Mar 07, 2019 12:46 pm, edited 3 times in total. When I read that smith and Wesson was coming out with the model 317 I knew I was going to buy the first one I saw. I bought serial number lgt067x and must admit I paid more than the $400 your shop is asking. your question is will it hold up to 1500 rounds answer yes and many times that number. I carry this little 22 as my summer time carry pistol. the 9.9 oz weight fits in my pocket and the 8 shot cylinder gives me some comfort. it is my belief that a carry gun should be shot often and I shoot my carry guns every time I go to the range. I dont make it to the range every week because of weather and health problems. but I shoot it at least 30 times a year and am happy to say it is a real keeper. the trigger pull and hammer cocking spring is flat hard. 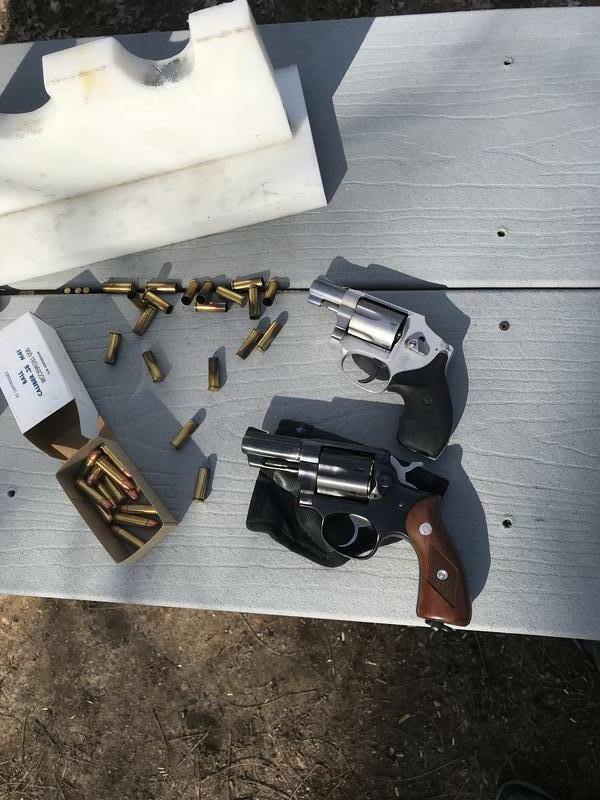 I was told that S&W knew that this revolver was going to be carried for self protection and wanted to assure that the 22 shells would fire every time. they made the springs a bit more powerful than needed. I have no real idea how many rounds I have put down the 2 inch tube but it has to be several thousand. It isnt a target revolver but I practice and know I can hit a head size target at 15 yards every time I pull the trigger. Many will say a 22 isnt big enough but my answer is a 22 in the pocket beats a 45 left in the car or at home because it is too heavy or big. again a 22 beats saying Please dont hurt me. hope this helps you make a decision on your purchase argie1891 aka joe g.
Right when they first came out, I bought one as my first EDC. Very, very heavy double action pull. 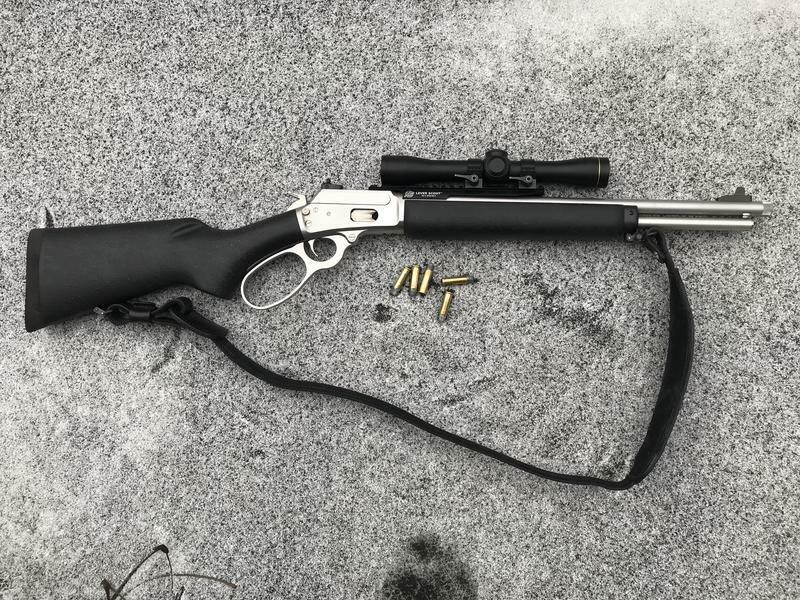 Excellent single action pull. For me, un-cocking it is a real bit*h because of the stubby little hammer and the Gawd-awful heavy spring, so I only practice shooting double action with it. At close SD range, if you're careful, you can rip off all the rounds in a couple seconds into a torso-sized target. Plinking is ok if I'm sure I'm going to fire it once it's cocked. It's very, very light, something like <14oz fully loaded. It's an aquired taste, so try to shoot if first. They also made/make a Lady's model with a full sized hammer. I keep meaning to see if one would retro fit on mine. I've got one. Love it. Weighs nothing. $400 is cheap. Those are over $700 new. "$400 is cheap. Those are over $700 new." You ain't gonna get it for $300. About 15 years ago, I bought a similar Model 351PD in .22Mag when they were 1st introduced, paying $325 OTD @ a local funshop. When I found out how high the demand for one was, about 10mos later - I flipped it in a New York Minute @ a funshow for $450. The flip didn't involve a lot of remorse in me, as I already had a 1970's 3" Charter Pathfinder in .22Mag. IMHO, a M-317 in excellent condition is well worth $400, these days. Thanks all. I've put 56 rounds thru it all ready, helped clean it up. Its pretty scratched up and screws are buggered some. Guy who had is a billary fan. He took it apart or tried to, in the words of the 'smith he shouldnt be allowed to touch guns! Blaine, the little stub hammer is more of an irritant than anything, knew their DA's were heavy but it stacks nice. I'm taking off to Texas for 3 weeks so if its still here when I git back i may grab otherwise it'll be a nice find for one their other customers. I also went this route but will not let it go. You might try a spring kit in it. Most of them come with several different weights of springs so you can see how light you want to go. Good stuff it works well in the Keltec PMR-30 and the S&W. Anyone try shotshells out of the 317? Might be nice to carry one loaded with them for ventilating snakes. Mine is usually loaded with 4 shotshells and 4 HP. But I use the shotshells on rodents. I don't like getting that close to snakes. Yeah, I'm with you on that Vance! They give me the creeps even from 40 feet away. Rat shot from a .22 is pretty short range. 10 or 12 feet at best. I like a 16 gauge at 3 feet for a snake. I know that 16 isn't just going to make it mad! Just my opinion, but comparing a short barreled 22lr to a short barreled 357 mag is apples and oranges comparison but honestly I would take the 357 given that choice. I can shoot handloaded 38 spl almost as inexpensively as I can 22lr (as 'almost' is a pretty stretchable term) and I would have the capacity to shoot something more powerful should the need arise. I just see the LCR in your situation as being more versatile. However I would also say reasonable priced S&W 317 are rarely encountered while the LCR is easily acquired …… so knowing my own impulses I might opt to go against my own advice and buy the 317 now and start saving to order the LCR later. P.S. Yeah I know …… it is like an addiction. It makes no sense but it feels right. Betting you will like that Service Six. I picked up a 2 3/4" Speed Six last year when I broke my left arm and couldn't pull the slide back on any of my autos for six weeks while I was in a cast. It's turned out to be one of my all time favorite sixguns. Very smooth and super accurate. Planning on picking up a few more of those '70s and '80s Rugers. I also picked up the S&W Airweight .38spl at the same time for something a little lighter to pocket carry in my cargo shorts, but I found myself packin' the .357 a whole lot more. I have not said anything so far because I don't have anything by Smith&Wesson. My only advice is to buy it and shoot it. If you like it, keep it. If not, sell it for what you paid or even a little more. We are enablers here. I am saving for a .357 Mag levergun. Anyone want to try to talk me out of it? I'm not brave enough to try. Okay, brave might not be the right word, but you get the idea. Piller, hard part is trying to decide between stainles or blued, 16" versus 20" round, or 24" octagon. I have a blued 20" round snd its purty darn handy. Was a 24" blued octagon at show, but luckily it got sold before i really thought about it. Why would anyone try to talk you out of it? This one's turned out pretty nice. Just for the record, IF a spring kit is installed and IF you carry it and IF you have need to use it the prosecution is going to tell the jury the YOU premeditated the shooting by making the nasty evil gun EASIER to use... Ya always gotta think of the lawyers getting their grubby fingers into ya! If you're talking about the 317 AirLite, I went with different springs and only got misfires for my efforts. The fireing pin on those are round, nearly blunt, and seem to need herculean strength to dent the primer. DamDust thing I ever saw. Spring kit in ANY carry gun! Or any modification of any gun to make its use easier the lawyers will have a field day at your expense... just saying for CYA sake. Gotcha, just trying to clarify for the others.